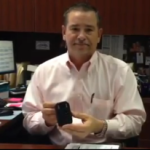 “We like the field of view with this camera… It also has a time and date stamp on the video. It has the capability of night vision, but it is our policy to turn that feature off. We do that because we want to show exactly what the officer saw in nighttime conditions. Night vision is available to them if they need it for tactical reasons, but we want the video to reflect what the officers see at night time,” said Lentz. The officers usually don’t use the LCD screen except to review some of the video in the field, but it’s more useful to view it in the docking station. We also like that you can just plug it into the docking station and all the video will upload automatically and you can also set the priority level of the video to high or low priority depending on how important the video is. 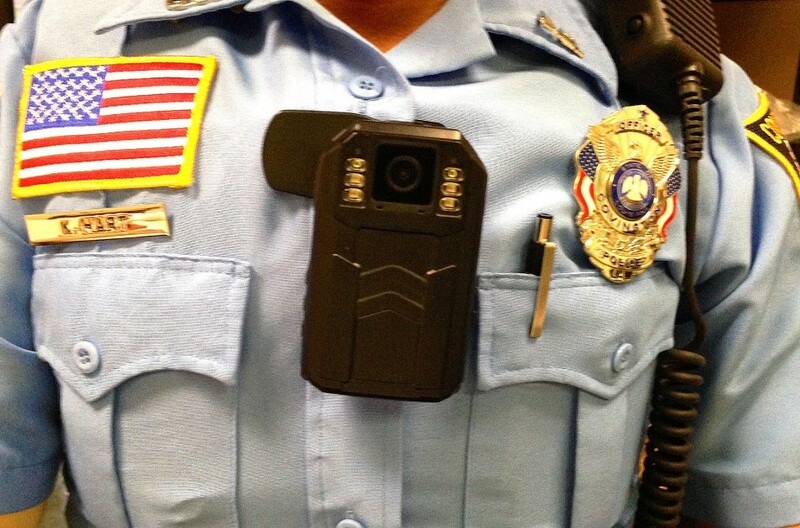 “The only drawback was that there was a flaw in the original clips they came with, they broke very easily… the body cameras would fall and bounce but kept on recording. They’re very durable. The manufacturer upgraded the clips and now they mount much better,” said Lentz. 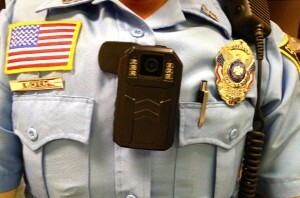 “They come with the epaulet mount but most of the officers use the clips and wear it on in the middle of their chest, on their shirts by the buttons… The size and weight of the camera has not been an issue with our officers, but I’m sure as technology develops body cameras will get smaller,” said Lentz. “We like the one button record feature. The beeping [when buttons are pressed] has not been an issue. 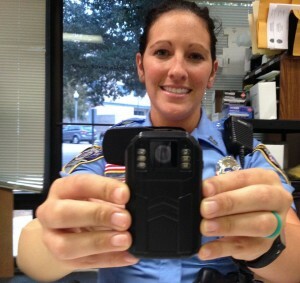 They’re easy to use and our officers have embraced the technology as just a part of their uniform,” said Lentz.